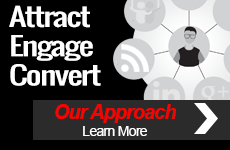 TopRank® Marketing, a fast-growing Minneapolis-based Integrated Marketing agency, is hiring a Digital Advertising Strategist – SEM/PPC/Social to join an enthusiastic team to achieve results for the clients we serve. The ideal candidate for the position will work with account teams to direct and guide account strategy, build accounts, grow & nurture programs and conduct ongoing measurement/analytics to make strategic recommendations to improve program performance. A recipient of the 2016 100 Best Companies to Work for Awards, TopRank® Marketing offers a significant opportunity for advancement, extremely competitive time off policy, IRA retirement plan, premium health insurance and a creative office environment just west of downtown Minneapolis, and within 5 minutes of the West End! We also enjoy a fun and hard working environment that rewards creativity, smart problem solving and most of all, putting our company mantra into action: Client, Company, Self.